Mr. Giffin studied music education and performance at the University of Toronto faculty of music, and Wilfrid Laurier University, where he graduated with an Honours Bachelor of Music Education degree. He received his Bachelor of Education degree from the Ontario Institute for Studies in Education at the University of Toronto (OISE-UT). 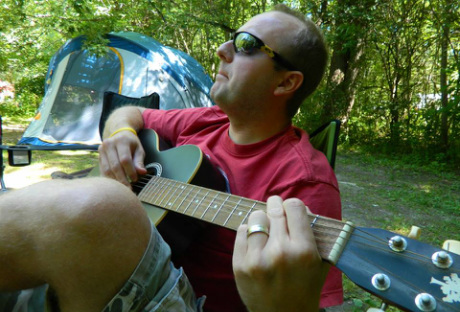 Mr. Giffin began his career teaching music in York Region (YRDSB), first in Richmond Hill, then in Newmarket. He started teaching with the Halton District School Board in 2013 at Maple Grove PS in Oakville. His current position with the Board is as the Intermediate Instrumental Music teacher at Charles R. Beaudoin PS. Mr. Giffin is a member of the Ontario Music Educators' Association (OMEA), and has been published in 'The Recorder', the Journal of the OMEA. Aside from being a music educator, Mr. Giffin pursues a semi-professional career as a trumpet player, performing both jazz and classical repertoire, around the GTA and beyond. He is a member of the Intrada Brass of Oakville, Canada's premier British-style brass band. He also spends some of his spare time cycling, and running. Mr. Giffin advocates strongly for Arts in Education, and believes that a quality education in music must be accessible for all students. Mr. Giffin lives in Waterdown with his son, daugther, and wife, Mrs. Giffin, who is also a teacher with the Halton District School Board.